Over the years, we have been inspired by many to work diligently to retire early and travel while we are young enough to get around and enjoy it. Below are some of the people that have inspired us. If you would like to receive a monthly email that tells you about our current travels, navigate to the right top area of this page and enter your email address. The gurus of early retirement, Billy and Akaisha retired at 38 yrs old and they are an inspiration for all of us www.RetireEarlyLifestyle.com. Retiring at 43 years old, Robert and Robin saved and sacrificed to fulfill their early retirement dreams www.WhereWeBe.com. Robert’s book “How to Retire Early” is very inspirational. Kevin and Valerie retired at 57 and 49 years old, respectively. 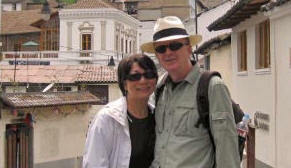 They now travel extensively and share their travels in a blog at www.coopsecondact.wordpress.com/. 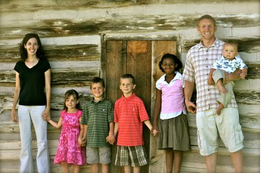 The Dennings are a family of 7 that live deliberately by traveling the world and sharing experiences that many others only dream of — all with their young kids. Their very inspiring website is aptly named DISCOVER SHARE INSPIRE, visit it here: http://www.discovershareinspire.com/. Rolf’s book “Vagabonding” was a great glimpse into how to travel at a young age on a shoe-string budget www.vagablogging.net. Tim’s entrepreneurial spirit has been very refreshing and his book “Four Hour Work Week” provides a glimpse into efficient work as well as detailing his wanderlust from travel www.fourhourworkweek.com/blog.